Warsaw is a city rebuilt with its former splendour in mind. The Old Town, almost flattened by bombing in WWII, has been beautifully restored, brick by brick, to its medieval glory and subsequently inscribed on UNESCO’s World Heritage List in 1980. Today, the troubled past is still remembered in many excellent museums, but the city has emerged with a positive dynamism and is often ranked as one of the most liveable cities in Eastern Europe. Spring (March to May) is a beautiful time to explore the city, although it can be cold at times. Summer (June to August) is sunny with temperatures hovering around mid 20C. Time your visit with exciting programs like Street Art Festival, Summer Jazz Days, Mozart Festival, among others. Autumn (September to November) generally has mild temperatures, although snow has been known to fall in November, so wrap up warm if you’re planning to visit at this time. Winter (December to February) is cold and snowy, with temperatures dropping well below zero. Warsaw looks beautiful when covered in a fine dusting of snow and makes for the perfect winter holiday destination. The public transport in Warsaw is well developed and easy to use. There are buses, trams and metro taking you to all parts of the city. Purchase your tickets from stations, ticket machines, or from many kiosks. Remember to validate your ticket when you are on board. One-day travel pass is valid for 24 hours after you first punch the ticket. There are also weekend passes available. For information on taxis, car hire, and bicycle hire, check out the Getting around Warsaw guide. This museum houses over 800,000 pieces of art and precious objects, dating from ancient times to the present day. The medieval collection is particularly impressive, although it can be gruesome in parts. At 231m (758ft) high, this is the tallest building in Poland and was a gift from Stalin to the city of Warsaw. For a truly stunning view of the city, head to the observation deck on the 30th floor. And if the view isn’t enough, the Palace of Culture and Science is also home to a concert hall, a multiscreen cinema, three theatres and two museums. After being almost completely destroyed in 1944 during the Nazi occupation of Warsaw, much restoration work was done to the castle between 1971 and 1984 to bring it to its former glory. From the early 17th century until the late 18th century, the castle was the official seat of the Polish monarchs. After this, it was used as the main parliamentary building. Today though, it is a museum filled with tapestries, period furniture, portraits and huge collections of porcelain. This 19th-century imposing fortress was once a prison for political enemies of the Russian czars. The cells within the prison are still standing and many are covered with paintings by Alexander Sochaczewski, a former inmate who was transported to a labour camp in Siberia along with 20,000 other anti-Russian insurgents. Set in a former power station, this thought-provoking museum brings first-hand accounts from survivors in WWII to life with the help of multimedia, including life-size dioramas and soundscapes. For more recommendations on must-see and quirky attractions, check out the Things to see in Warsaw guide. Bigos – the national dish of Poland, this hearty stew is made from meat, sauerkraut and fresh cabbage. Some say it should always contain Polish smoked sausage. Pierogi – stuffed dumplings with meat, mushrooms and cabbage or cheese. Żurek – made with bacon, onion, mushrooms and sour cream, this soup can be thin or hearty, and is available year-round. 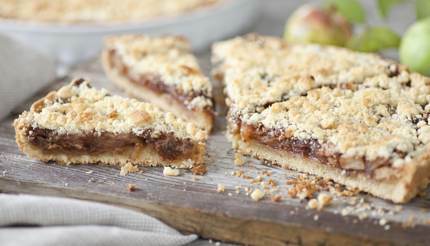 Szarlotka – this Polish apple cake is a must-try dessert and can be found in almost every café. Wódka – from herbal to smooth, Polish vodka comes in many brands and is the country’s national drink. Tipping: A tip of 10% to 15% is expected in restaurants and cafés. When tipping, you should tell your waiter how much you are paying in total, including the tip. With the influx of tourism over recent years, Warsaw has become home to a wide range of accommodation options, from luxury 5-star establishments like the elegantly modern H15 Boutique, to student-friendly budget hostels such as Dom Literatury offering incredible views over the Old Town. 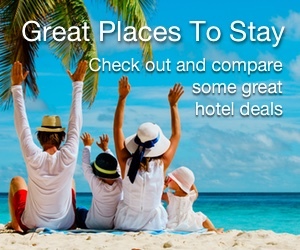 For more hotel ideas visit the Warsaw Hotels page. Warsaw’s nightlife is one of the best in Eastern Europe – take your pick from energetic nightclubs to live concerts. Podwale Bar and Books near the Old Town Square serves up fine cocktail and premium whisky, while Klubo pulls in a lively clubbing crowd to its RnB, house and disco rooms. For more recommendations on bars, clubs, and live music venues, see the Warsaw Nightlife guide. Toruń is a UNESCO World Heritage Site just 227km (141 miles) northwest of Warsaw and is easily reached by a three-hour train journey from Warszawa Centralna station. This medieval town boasts a 13th-century castle of the Teutonic Knights and is also where the 16th-century astronomer and mathematician Mikolaj Kopernik (Copernicus) was born; you can visit his gothic townhouse at Ulica Kopernika 17. 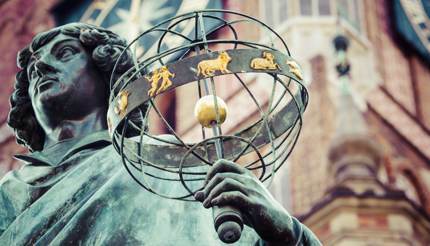 For more ideas of things to do around Warsaw, check out the Warsaw Tours and Excursions page. Nationals from Britain, Australia, Canada, America or the EU do not require a visa to visit Warsaw. Australians, Canadians and Americans can remain in Poland for 90 days without a visa, while EU nationals can stay for an unlimited period but must register with the local authorities after 90 days. Your passport should also be valid for at least three months after the length of your stay. For more information, visit the Poland Visa and Passport Requirements page.